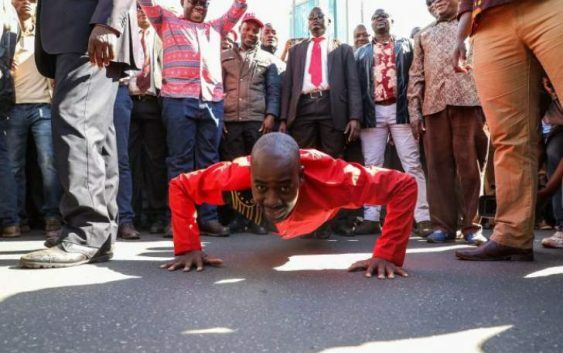 CHAMISA ‘brands supporters as “stupid” for undertaking an unnecessary demonstration that resulted in the death of 6 people’ and damage to property on 1 August 2018. These are the same protesters who voted for Chamisa and protested and lost friends and family in the shootings all for Chamisa yet today he insults them and shows them just how worthless they are to him. At least the people are slowly awakening to his true colours, remeber Mugabe was an angel to Zimbabweans before 1980, then when he got into office, from day one for the next 37 years, he showed his true colours,..i shall not speak! Realising the folly of insulting his supporters have exposed who he truly is, as an immature, selfish, irrational power hungry individual with no regards for the people, Chamisa has now back tracked and tweeted oday on Twitter Chamisa appeared to be backtracking on his comments. CARLIFORNIA WILDFIRES -63 DEAD, 600 MISSING-The death toll continues to rise in Carlifornia where two major fires are still burning and several fires have been contained.